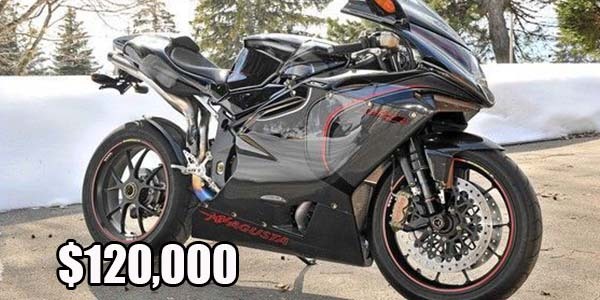 What are the most expensive superbikes ever made? The 200hp F4CC was MV Agusta CEO Claudio Castiglioni’s personal project. This 6-figure motorcycle was limited to 100 units, but the worldwide recession lowered the demand for this kind of wild purchase. As a result, after being bought and sold back to Castiglioni by Harley Davidson, the F4CCs still haven’t sold out and could very likely be purchased at a discount.